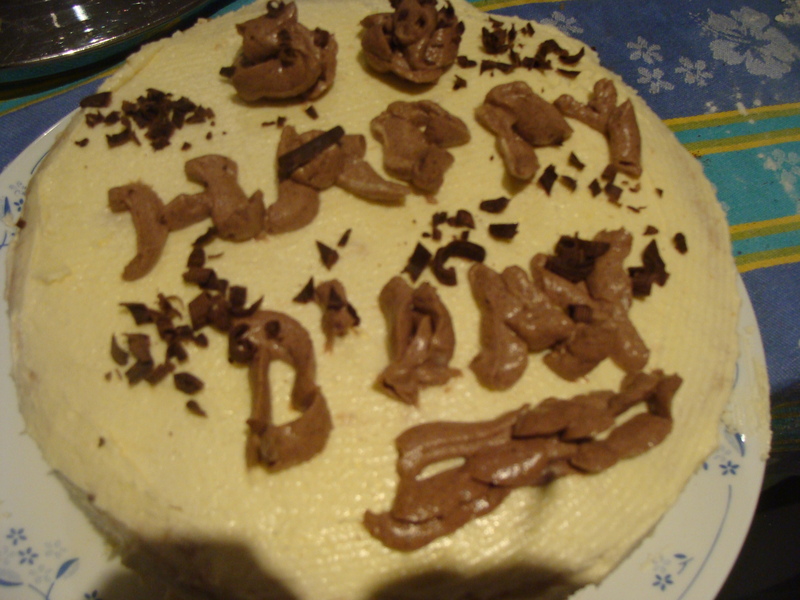 The Cake was Vanilla sponge ,made from this recipe.The filling was sweet light thickened cream and chocolate shavings.The frosting was buttercream..and the cake was garnished with chocolate shavings. Last month,I baked about 35 cupcakes for a friend’s daughter’s 5th birthday celebrationg in school.She wanted chocolate cupcakes with white icing..I was looking for a buttercream recipe that worked..thats when I hopped across several blogs and a basic recipe for buttercream,stayed in my mind.I didn’t try it that time..but this time,I decided to give it a go..
Make sure the butter is soft and at room temperature.Cream the salted and unsalted butter..,add the vanilla essence.add the icing sugar slowly,adding milk ,one tsp at a time..And that’s it..you have the softest,fluffiest butter frosting ready! I can’t find the link,that I am talking about,if anyone,has the link,for it..would you,please share it with me? Thks for stopping by my blog n those wonderful comments…really appreciate. The clay pot was bought from Oxfam at Chadstone Shopping centre, sumtime back. Just a couple of days back saw sumthing similar n much cheaper in Ikea, Richmond…hv a look…a very good option for slow cooking. Between wishes for ur DH…hope u guys enjoyed de cake.